Details are on deck with this refined collection of high performance trimmings in 14 colorways reminiscent of sea and sand. 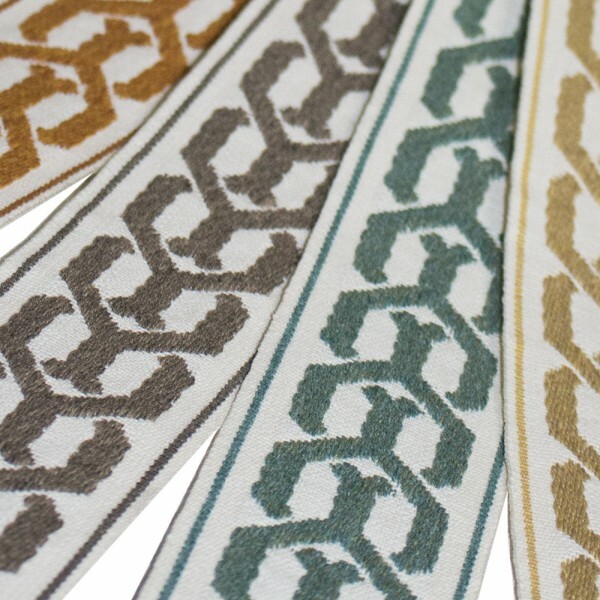 Nautika features a contemporary 2” tape with link design to beautifully accompany draperies, furniture and accessories. Handsome coordinates include a 3/8” lipcord with nautical pattern and extra thick 1 ¾” brush fringe. Additional essentials include solid ¼” mini lipcords in a wave of 31 colors. The amped up variety is to assist you in finding what you need to complete your versatile projects inside or out.